This Silvertone was produced by Kay of Chicago. In the Kay catalogue it was known as the K161 and was endorsed by Jimmy Reed (the model is also known as the Jimmy Reed model). 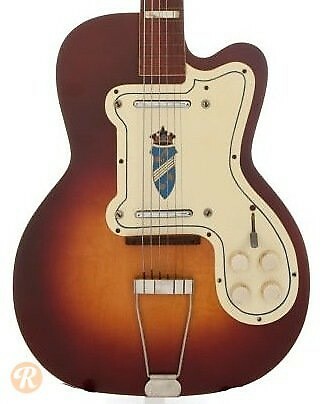 Sears marketed this guitar as the 1382L Thin Twin under the Silvertone brand. The original white headstock was replaced by a black headstock later in its production run.